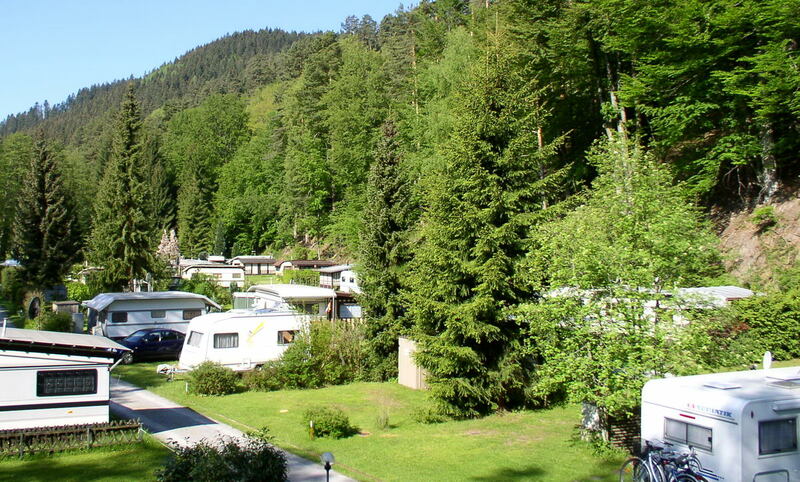 The Müllerwiese, a camping and caravan holiday park on a spectacular scenery, is a small family business with about 75 pitches. 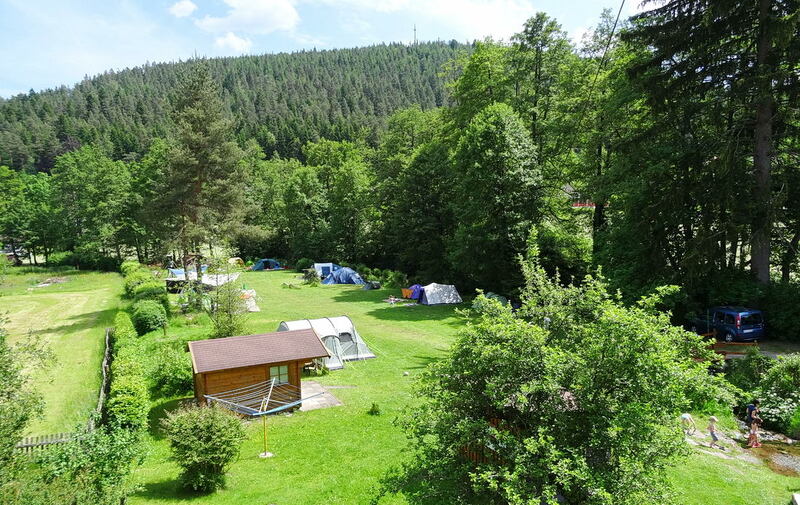 A small group of 8 pitches between caravan area and tentsite is available during summer for tents, small campers or small caravans (see following photograph). 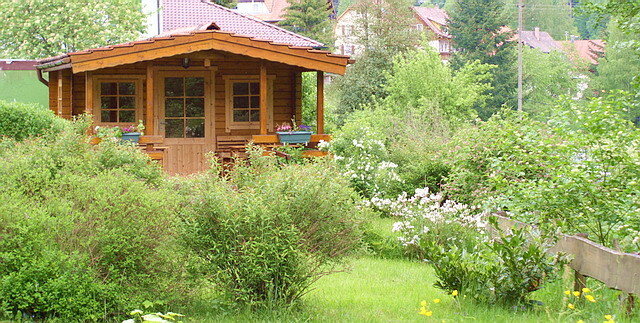 On the front area of the summer place is our hire log cabin no 1. 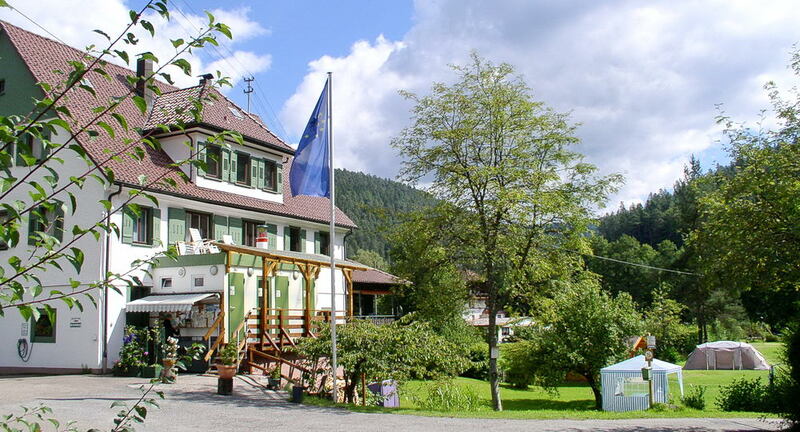 It is a great fun to have breakfast or dinner on the terrace nearby the murmuring river Enz. People who are looking for a quiet and romantic tent site near the river without drive way for cars are invited to camp on our car-free tent area. 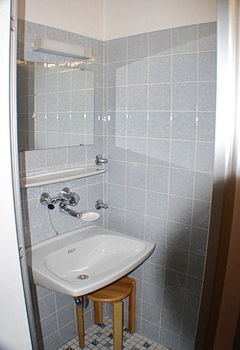 At the caravan area, there is a practically furnished sanitary house. 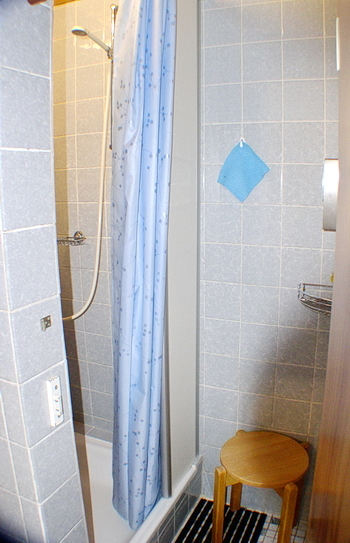 Shower cubicles, shaver points and separate washbasins. 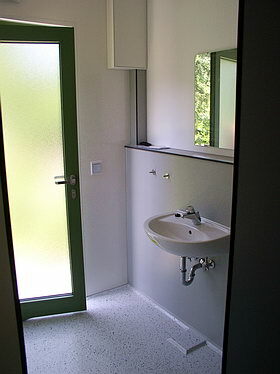 Toilets with separate electric ventilation system. 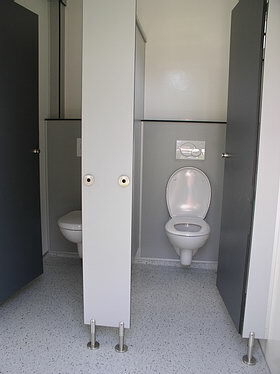 Disposal point for chemical toilets. 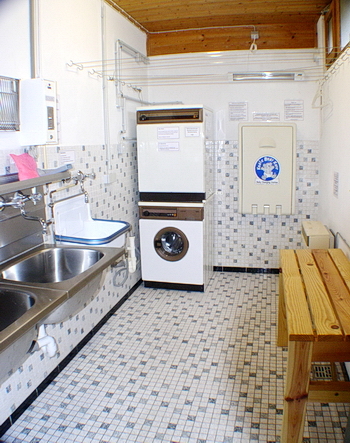 Washing machine, tumble dryer, laundry basin and baby changing station. 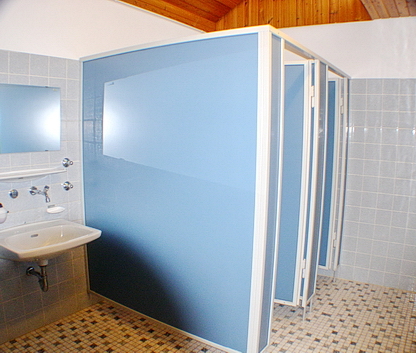 The caravan area is provided with several watering places with sinks for washing and rinsing water. 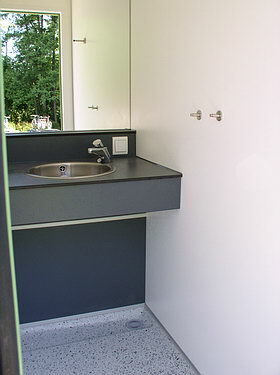 Some of the caravan and camper pitches have fresh and waste water connections. 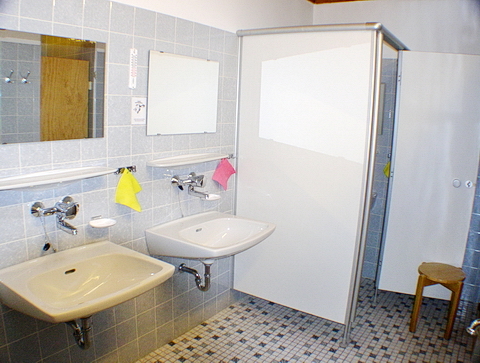 For motorhomes it is possible to take fresh water and dispose waste water at a disposal point. 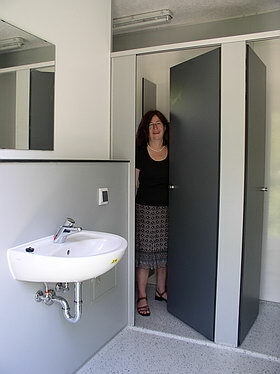 Near the campsite reception in 2008, a small sanitary house has been built mainly for guests of the car-free tentsite. 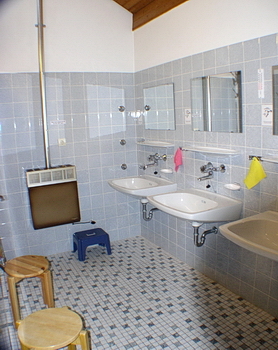 Below are some views of the modern furnished facilities. 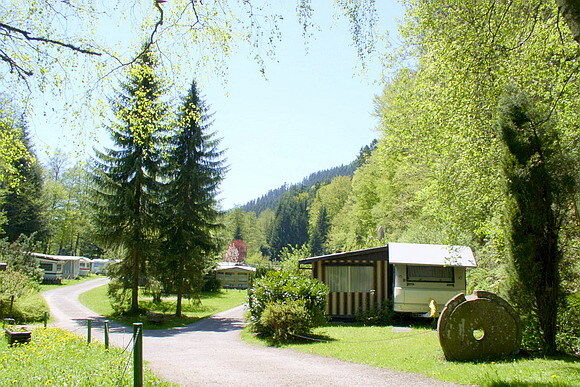 hairdresser and bank with ATM are only 100 to 400 meters from the campsite away and are to reach in five minutes walk. 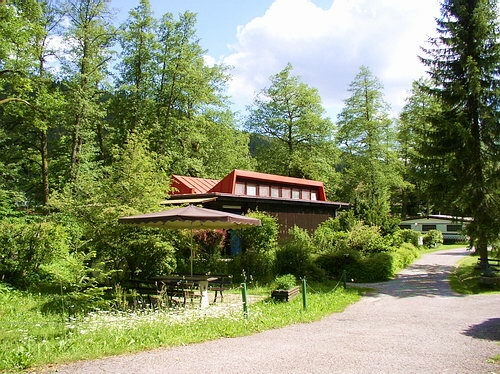 There are also five restaurants with sidewalk cafes within 50 to 500m of the campsite. Bus and train rides in the entire Black Forest are free of charge for our holiday guests with their obligatory guest card. 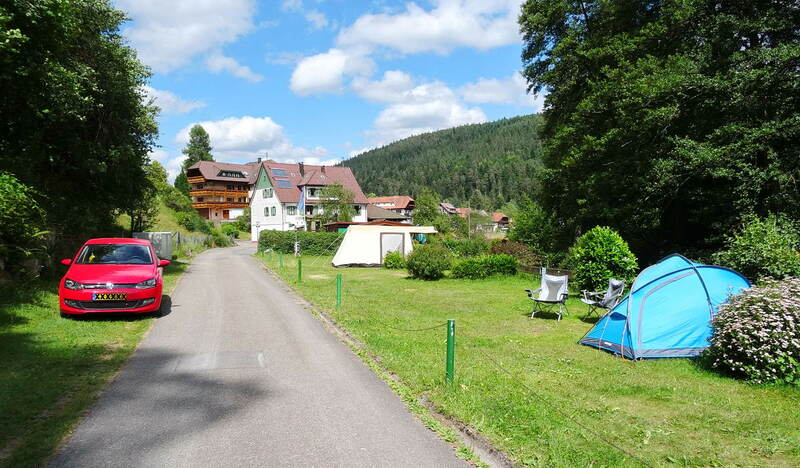 The bus stops with the destinations Freudenstadt, Bad Wildbad and Pforzheim are located about 300m from the campsite. 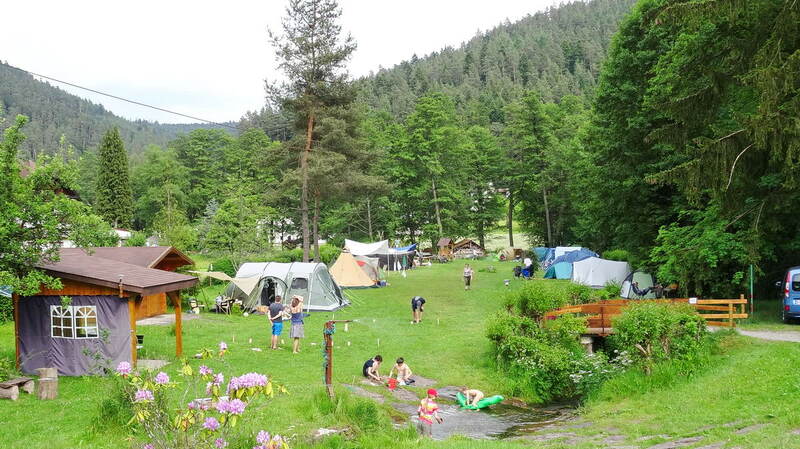 A sunny playground on the tent area provided with different equipments is connected to the campsite. 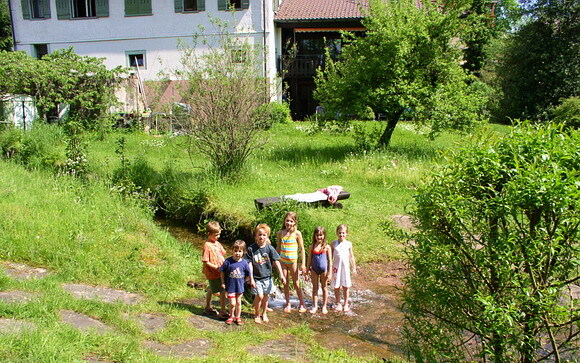 There is also the possibility to splash around and to make a hydrotherapy in clear spring water of the little brook Hirschbach.